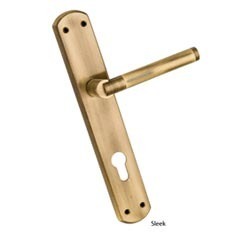 Established in 1978, Our industrial experience of many years, enables us to supply a quality range door hinges, door knockers, door handles, door knocks, mortice locks, pin cylindrical locks, multi purpose locks, brass mortice handles, tower bolts, door aldrops, door domes, door locks. We have three sister concerns namely Laxmi metal works, Laxmi enterprises and Laxmi sales. They have always been an instrumental in boosting our moral to carve a niche in the industry. Backed by our client centric approach, we have been serving some reputed clients in India, UAE, Sri Lanka, U. K and South Africa. Our range is widely acclaimed by our clients because of their intrinsic designs and durable performance. Owing to our in-house design unit and latest CAD and CAM software, we provide competently designed range of brass builder hardware products. Apart from having a well-established organization, we have our sister concerns that holds an undisputed name in the industry for delivering quality products. They have always an instrumental in boosting our moral to carve a niche in the industry.